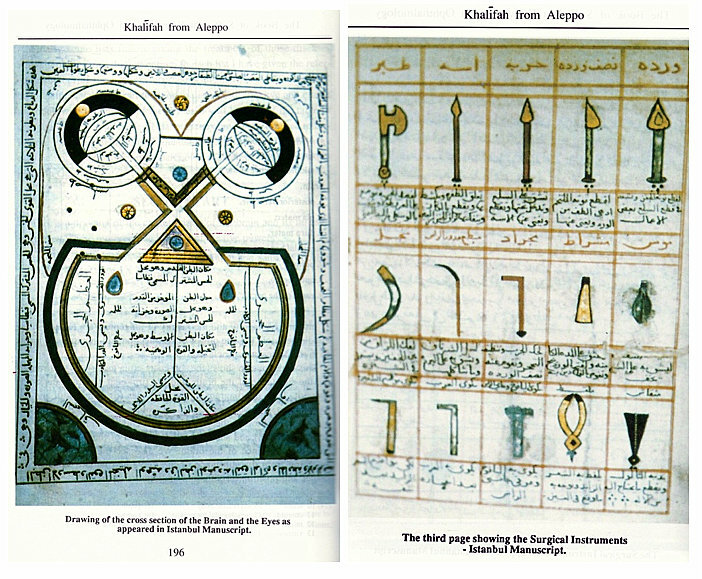 The main purpose of this monograph is to review some of the contributions made by ophthalmologists from Muslim civilisation between the 9th century CE (early 3rd century AH) and the late 14th century CE (middle 7th century AH). The work is based upon my personal effort to collect microfilms and photocopies of Arabic manuscripts from public libraries in Syria, Egypt, Turkey, Tunisia, Saudi Arabia, Morocco, Rome, Paris, London, and El Escorial in Spain. The late Professor M. Rawwas Qal'aji and I had the opportunity to edit most of these manuscripts and publish them through different organisations. Ever since the first human settlement in communities around major rivers such as the Nile, Euphrates, and Tigris, two sciences proved important: the first being morality, ethics and spirituality, the second is the health and wellbeing of the settled communities. 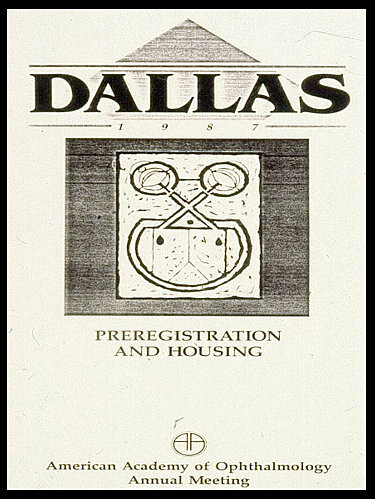 It is clear that the first is responsible for the organisation of relations and communities, adopted rules and regulations, in order to solve any disputes that may arise. As for the second science concerning health, it was viewed as vital for keeping individuals strong and fit enough, both physically and mentally, to survive in the wilderness and maintain the existence of the human race. It is believed that the first recognised physician in the history of medicine was Asclepius I, who lived around 5500 BCE in ancient Greece. Succeeding Asclepius, Pharaoh Amun from Ancient Egypt was considered a God by the Egyptians due to his ability to treat a multitude of diseases and cure patients. Famous ancient healers, or physicians, that followed Asclepius and Pharaoh Amun include Horus, Menes, Bermanedes, Plato, Asclepius II, Hippocrates and Galen to mention a few. The works of Hippocrates and Galen were translated into Arabic during Muslim Civilisation. During the early days of Islam, traditional healers practiced primitive medicine and surgery based upon knowledge inherited from their ancestors or through personal experience. With this knowledge they were able to cure some endemic diseases and treat wounded soldiers in the battlefield. The Umayyad Dynasty followed with a few shy attempts to translate scientific books—mainly chemistry—but these translations were not extensive enough to make any tangible impact on the practice of medicine. Serious translations began at the “House of Wisdom” or Bayt al-Hikmah in Baghdad, where master physicians and translators were employed. 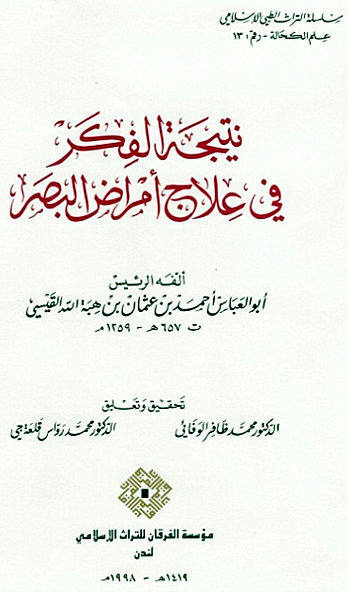 Among the 47 mentioned in literature were Georgis Ibn Jibrāīl Ibn Bakhtyashu', the famous Ḥunayn Ibn Ishāq Al-'Abādī, his son Isḥāq Ibn Ḥunayn, and his nephew Ḥubaish Al-A'asam. After a wealth of translated works and knowledge was accumulated a new era began around 400 AH (1010 CE). Numerous scholars excelled in fields such as geography, astronomy, medicine, mathematics, among other major accomplishments in literature and history as a result. Amalgamating knowledge from the books translated from Greek, Persian, Indian, and Syriac allowed for the compilation of several major medical encyclopaedias. The Latin translation of those books remained the main, and perhaps the only, source of teaching material in European Universities till the late part of the 15th or 16th centuries. Among famous translators from Arabic into Latin were Demetrios and Constantini Africani. 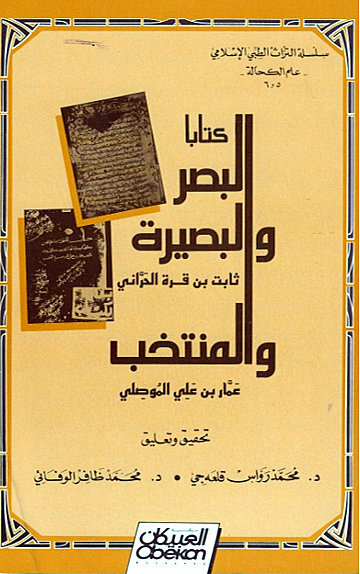 They translated medical encyclopaedias such as “The Royal Book" by 'Alī Ibn 'Abbās Al-Ahwāzī (d. 994 CE), “The Canon of Medicine” or Al-Qānūn Fī Al-Ṭib by Ibn Sīnā, and the "Comprehensive book on medicine” or Al-Ḥawī by Al-Razī. 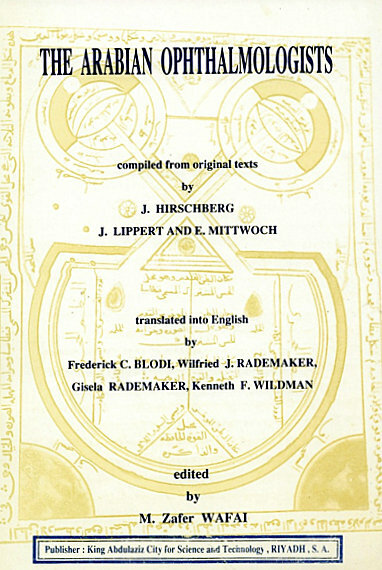 While Demetrius and Constantini Africani claimed the knowledge in their respective works, Galeni Liber de Oculis translatus a Demetrio and Liber de Oculis Constantini Africani, to be their own, J. Hirschberg identified Ḥunayn Ibn Isḥāq as the original author. 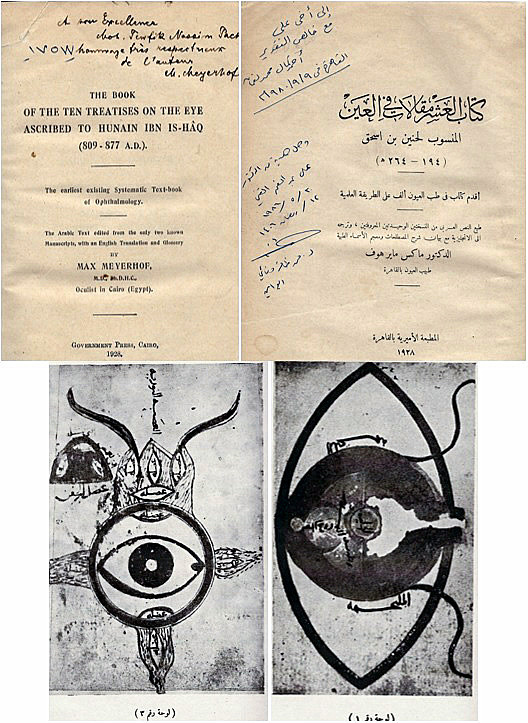 Demetrius and Constantini Africani merely translated Ḥunayn Ibn Isḥāq’s “Book of the Ten Treatises on the Eye”. Gerard of Cremona (1147-1187 CE) spent a few years of his life in Toledo studying Arabic, and upon instructions from Emperor Friedrich II, he translated into Latin several major Arabic books, such as Al-Ḥāwī by Al-Rāzī, Al-Qānūn by Ibn Sīnā, and Altaṣrif by Abu Al-Qāsim Al-Zahrāwī. Four centuries later, in 1547, Andreas Alpago travelled to Cyprus, Syria, and Egypt to learn Arabic. He became a great admirer of Ibn Sīnā. 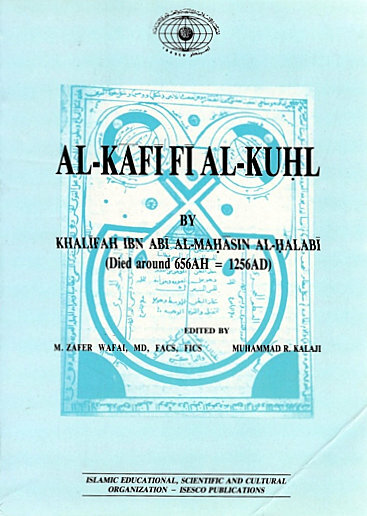 His improved translation of Al-Qānūn served as a primary reference to medical students and practitioners until the late 18th century. Part one highlights the most important contributions known prior to visiting specifics of each book. Chronologically, it deals with books which specialise in ophthalmology and are written by ophthalmologists. 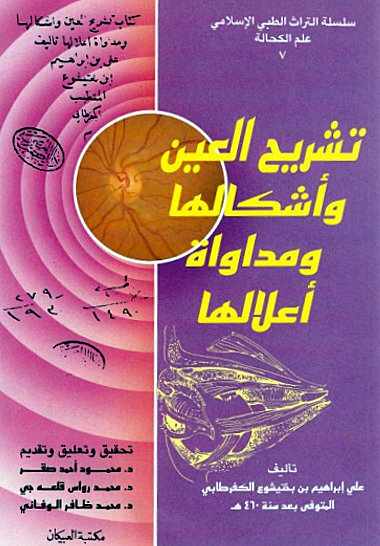 Part two also appears in chronological order and discusses chapters concerning ophthalmology in Arabic textbooks on general medicine. This part is terminated by a note on the medical code of ethics amongst those ophthalmologists.